I can't get the modifier key swap configuration to work. "taking"
I am using an up-to-date iMac for the server with a windows keyboard attached (Windows and ALT keys swapped in macOS keyboard preferences). My windows laptop will not recognize the Alt/Meta key remapping. In the screenshot, the CTRL key is correctly remapped to the ALT key, but the Meta (Windows) and ALT keys are not remapped. Hi @Valor Poland. 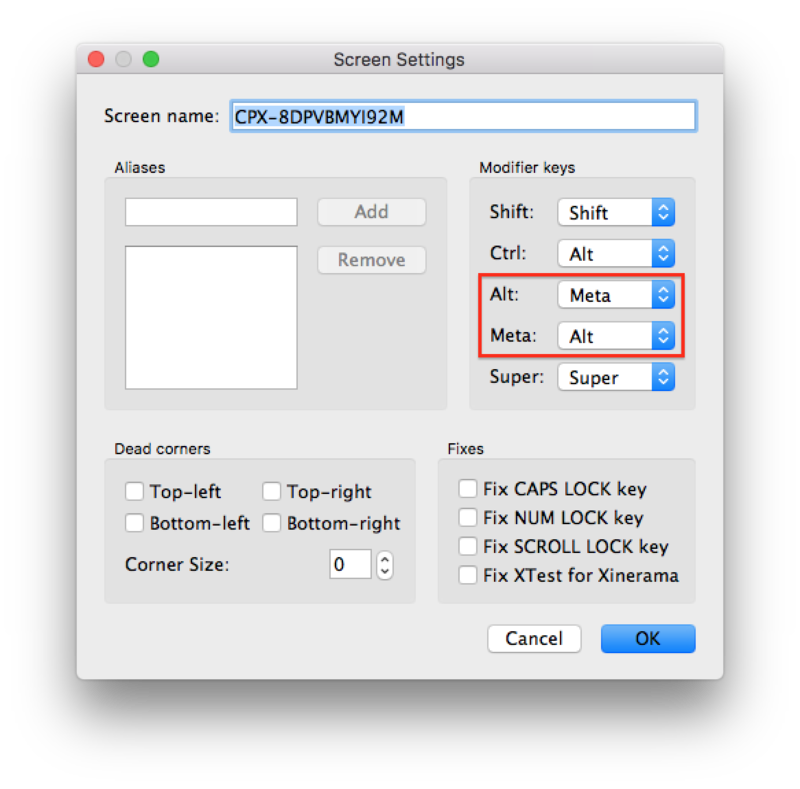 Windows key is the "super" key not the meta key. Can you try this set of modifier keys? By the way, you can find related information from Synergy Key Mapping superuser thread.